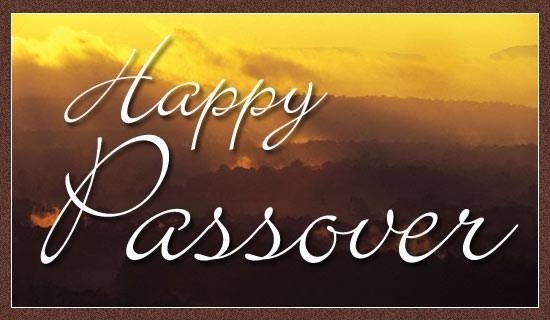 The original Passover freed the Israelites from Egyptian Slavery. The final Passover frees anyone willing to come to Jesus from sin and spiritual slavery. Jesus’ death on the cross freed us. Because of ours sinful nature inherited from our original parents Adam and Eve, we owe a debt to God we have no ability to pay off. Much like when we break laws on earth we owe a debt to society. Except the debt we owe to God is way beyond our ability to repay because, well, God is God and we are not; we are simply His creation. God wanted us in Heaven, but because of that sin and that debt, we are not allowed in Heaven. God in His great love and mercy sent Jesus to earth to rescue us. He was sacrificed as the final sacrifice in our place. This sacrifice is for everyone who is willing to come to Jesus and accept His payment for their sin through faith in Jesus as the Son of God, King of kings, and Lord of Lords. Jesus rescued us from an eternity away from God.